I probably wear my most girlboss outfits on Mondays. Monday sets the tone for how the whole work week will go. I always feel like if my outfit says “Let’s do this,” then I will feel more ready to tackle the day ahead. 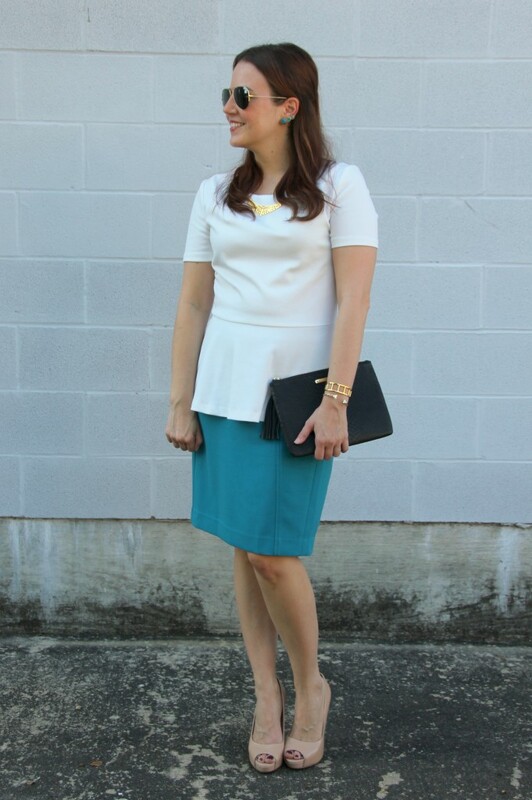 Peplum tops are a favorite of mine for their versatility. I often pair them with pencil skirts for the office for that conquer the day look. On weekends, I will toss this top on with skinny jeans, heels and a cute clutch (HOW CUTE IS THIS ONE) for a casual dressy look for dinner or drinks. I like the high neck of this one because it works really well with bib statement necklaces like this one from Gorjana. 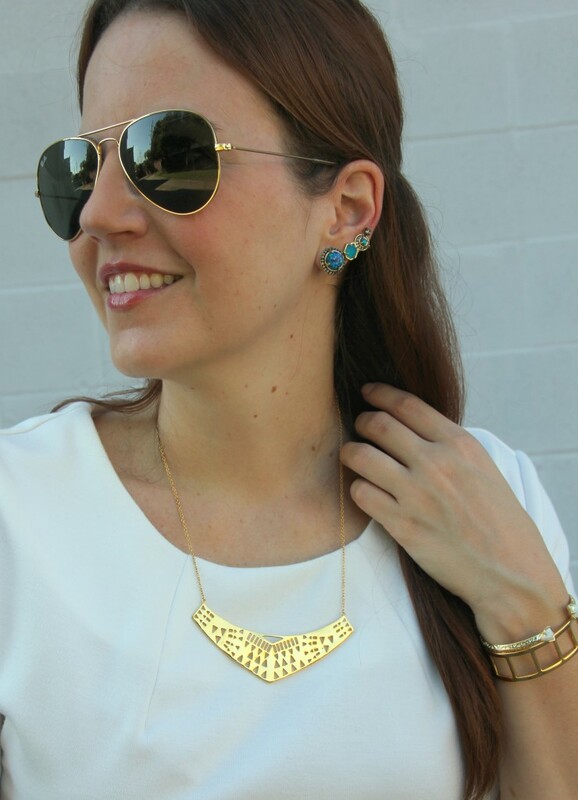 I also pair this top with my Baublebar bib necklace for a more dramatic look when I wear with jeans. I have had this one for a few years, but I linked some similar tops. 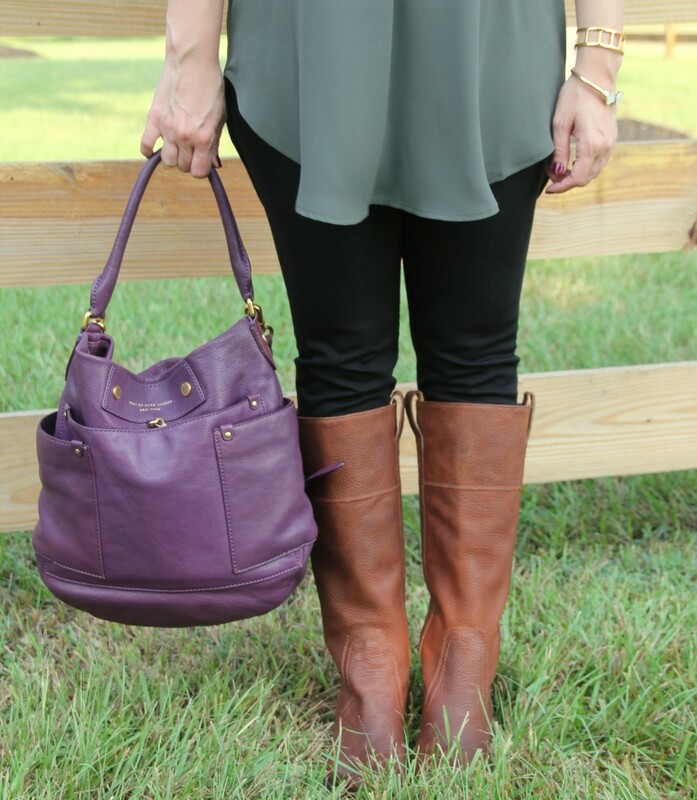 This is definitely a top style to have in multiple colors. I think I might need a black one soon!! Happy Monday Ya’ll! May your coffee be strong and your Monday be short! I read this post on Instagram the other day that said something like, I’m ready for cool fall temps, but once they get here I’m like I can’t wait for spring. That post was so me! Every year in September I am so ready for fall weather so I can start wearing all my fabulous fall fashion items, but after a few weeks I start to miss my dresses and wedges. If I had to pick my favorite look for fall, this is it! 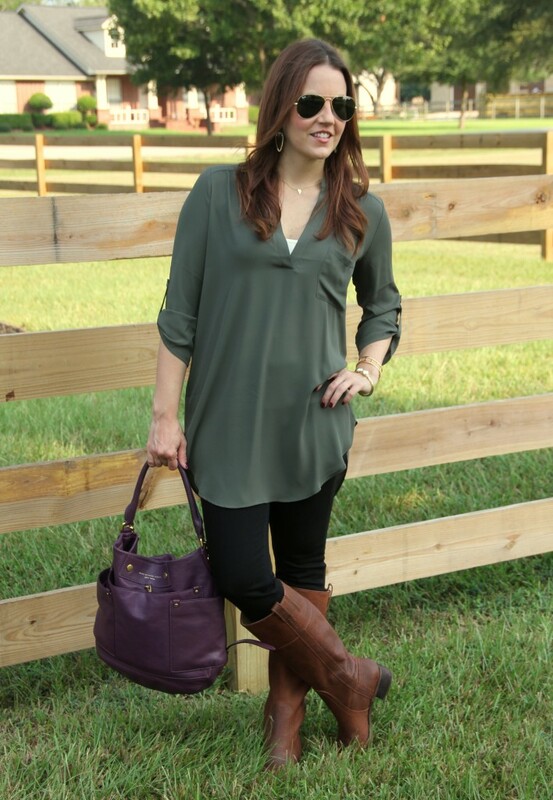 I love long tunics with skinny jeans and boots. 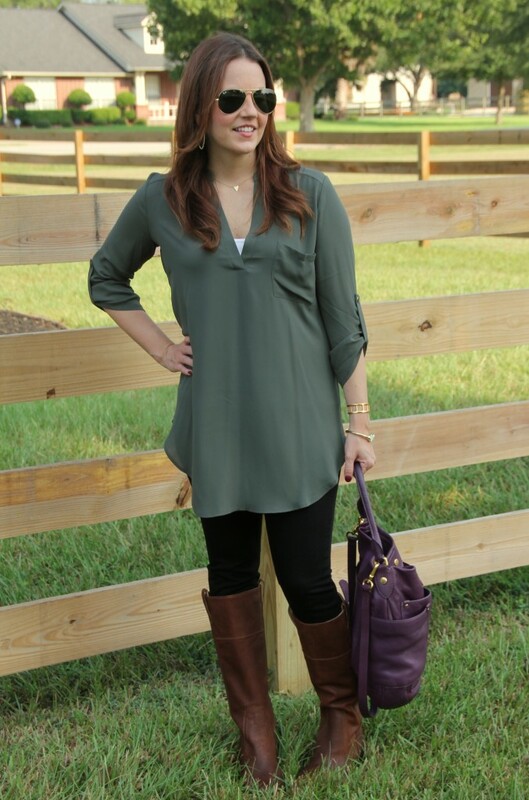 This olive color is perfect for fall and will work perfect under a tan jacket this winter. Ya’ll these boots are officially back on sale for under $140! I haven’t had the chance to wear them outside of blog photos, but they area really comfortable. I like that they have room to tuck in my jeans. If you have a wider calf, they also come in a wide-calf version too. I am already trying to find ways to style these boots with some dresses, so I can start wearing on our next cool day. I originally tried them on with a dress, so I know they will be super cute with one. My poor little pup had to have dental surgery yesterday to have her chipped tooth fixed. My plans this weekend are for lots of cuddles as she recovers and as we celebrate her 4th Birthday. I know she is going to love that she gets to eat nothing but wet food for a whole week while her stitches heal. We only feed her wet food on special occasions or when she has been a really good puppy. When we give it to her, it is like nothing else exists while she eats. 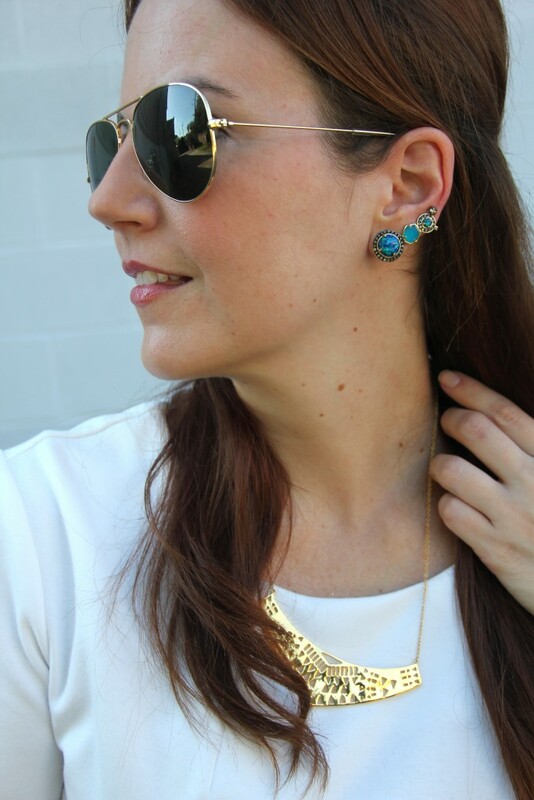 Happy Friday Ya’ll and thanks for stopping by the blog this week! 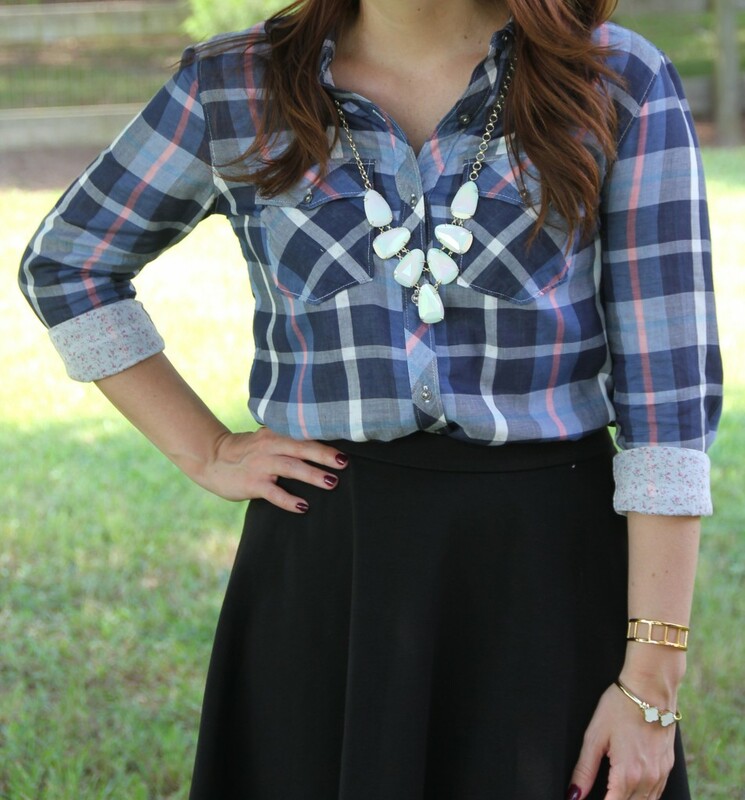 My favorite way to get away with wearing my comfy plaid shirts to work is by pairing them with a skirt. 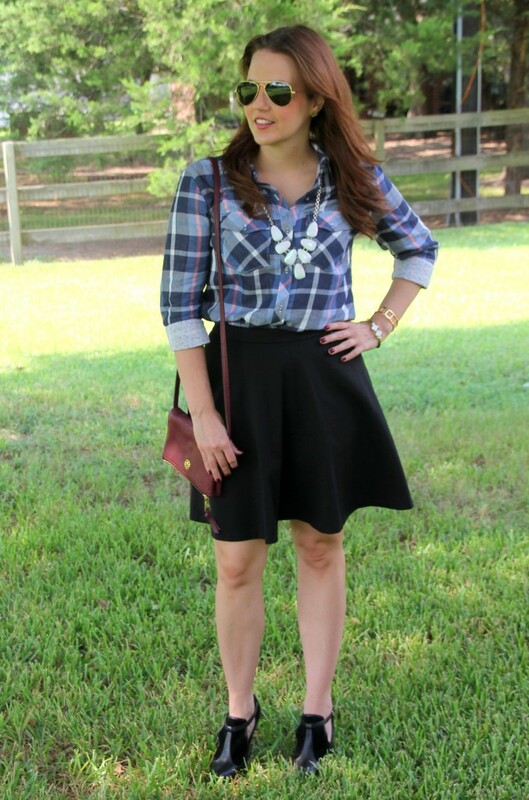 Pencil skirts are usually my go to, but I love how this plaid looks with a flared skirt. 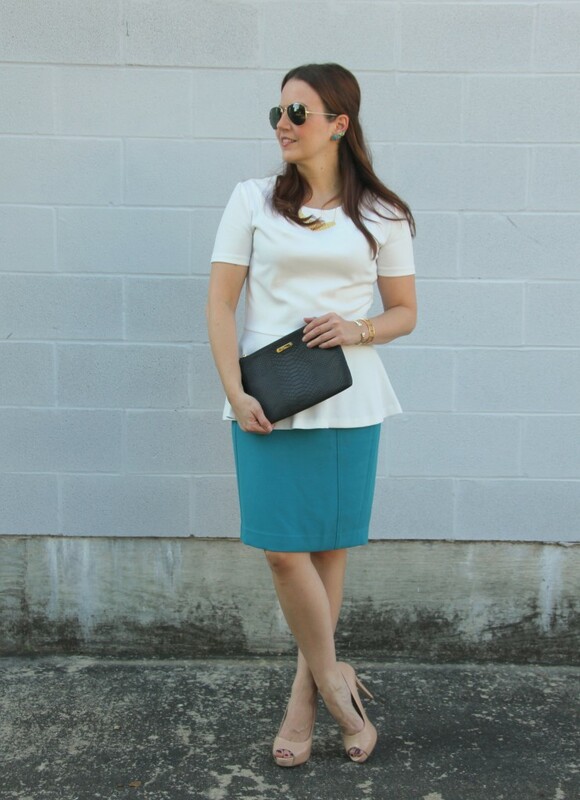 I picked up this flared skirt from the Nordstrom Anniversary Sale, and it is back on sale for half off!! 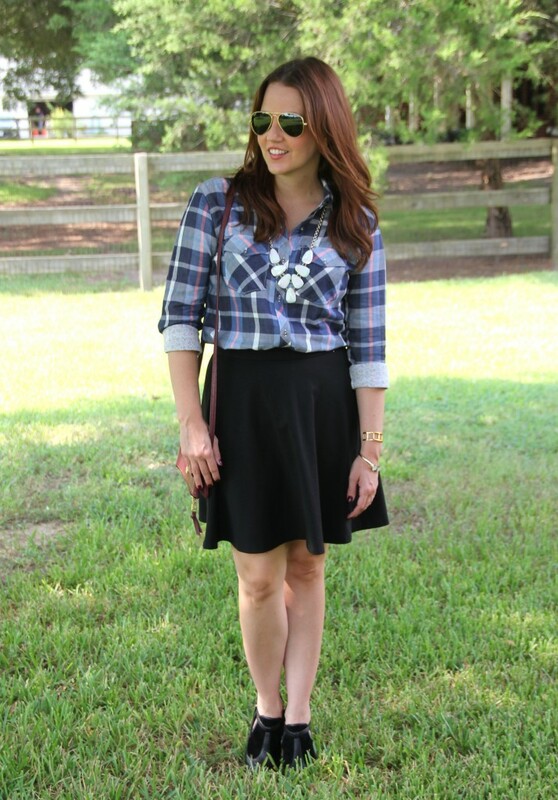 One big seller on this fit and flare skirt is how versatile it can be. 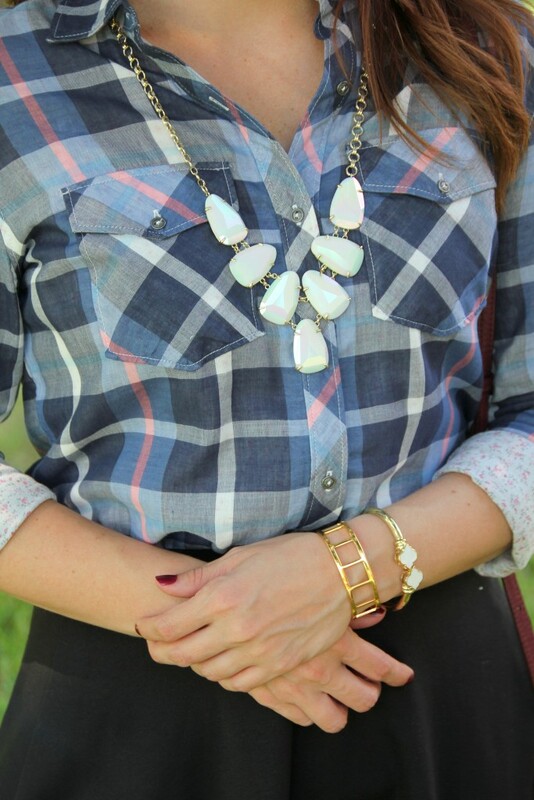 This look could work for both the office and a weekend look depending on your shoes. I paired with my dressier booties from Elaine Turner for work, but you could pair with some taupe or black suede booties for a more casual look. If you wanted to dress this skirt up even more, you can pair it with a super fitted top like this one, and some strappy shoes for a more night out on the town look. When winter hits, this skirt will also look good paired with an oversized sweater and tights. 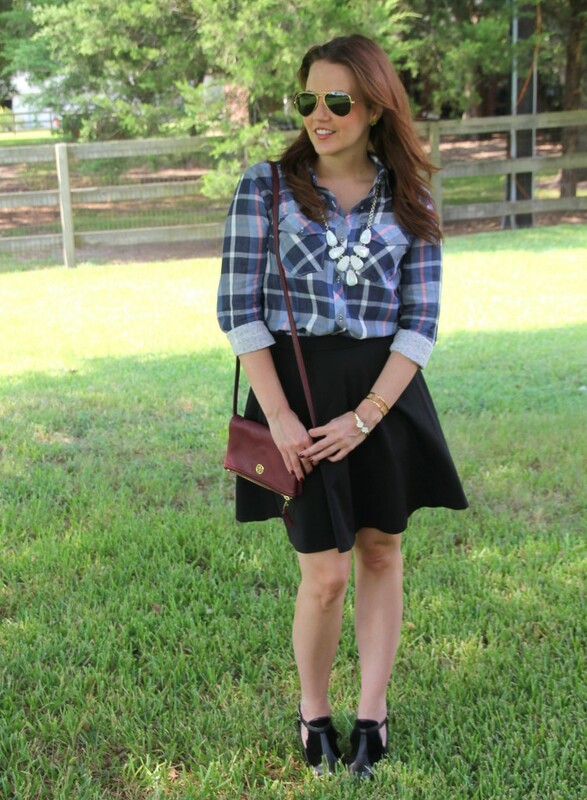 The fit and flare skirt is one that can be worn year round especially in black. My vacation has officially ended and it is back to work today. I’m kind of excited to get back into a daily routine, although I am going to miss lounging around in my pjs all day! If you are in Houston, don’t forget about the fun event tonight at Tootsie’s! Head to this post for the event flyer and to learn more. Once September arrives my schedule starts to quickly fill up. This month and part of October is full of fashion and charity events. Then November hits and holiday season is here. 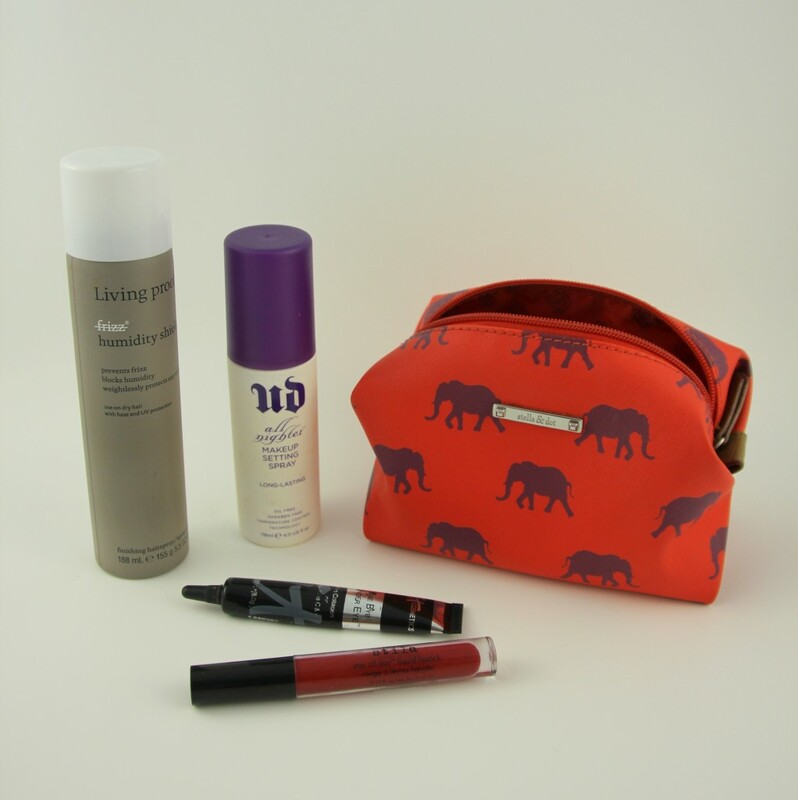 I have picked up a few products over the years that have become my tried and true beauty products to last through long days of work and events. I have also recently been introduced to a few new products that will definitely be joining me as the busy fall season begins. 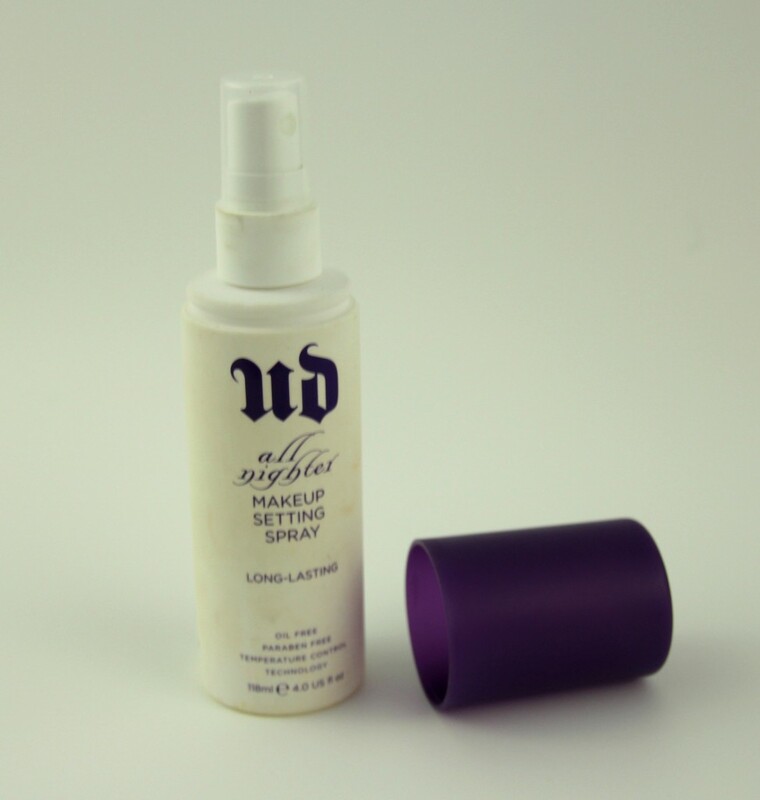 First off, everyone who wears makeup needs this Urban Decay Makeup Setting Spray! I spray a couple spritzes of this on in the mornings after I have applied all my makeup, and by the end of the day I still look fresh and ready to go. I used to bring my makeup to work and reapply at the end of the day before I went out. Once I started using this product, I noticed I really didn’t need to reapply so much. I typically just reapply a little blush and lipstick, and occasionally bottom eyeliner if I have been rubbing my eyes. Another benefit, I noticed my bottom eyeliner does not smudge or smear during the day nearly as much if at all. 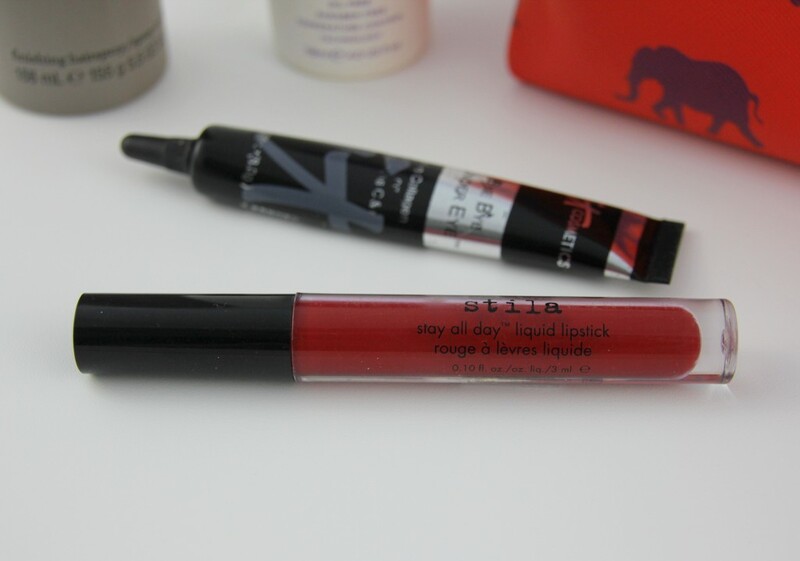 This Stila Liquid Lipstick has been holiday party tested! I wore it to a couple events last year, and after drinks and appetizers the deep red color was still holding on strong. If I was at a full meal event, I did usually reapply just a little to get the shine back. If you want an amazing concealer, try this Bye Bye Under Eye one from IT Cosmetics. I met them at SBSCon in June and received a huge bag of products to try. This is one of my favorites. Sometimes when I am trying a new product I will wear it for a few days and then go with out it, so I can see the difference. 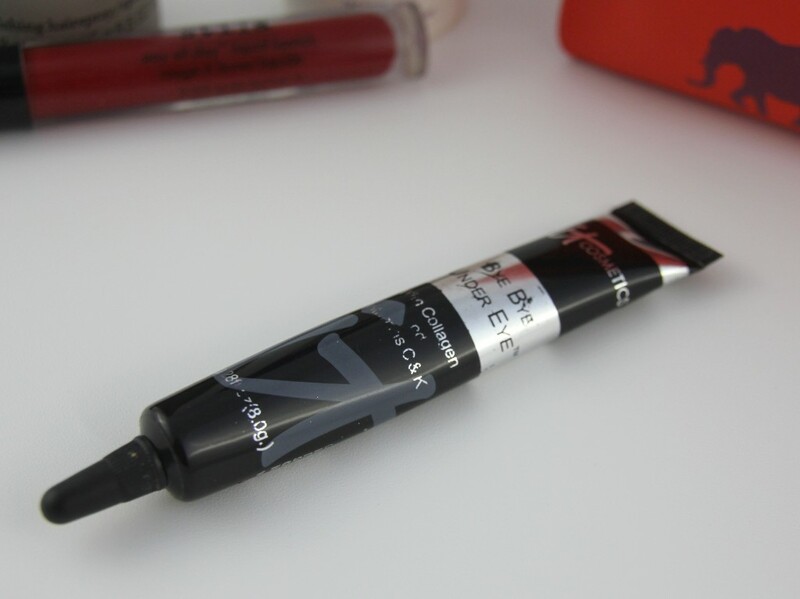 I can’t believe how amazing and long-lasting the coverage on this little product is. Warning, a little bit of this product goes a LONG way! I also use it to conceal blemishes and red areas. 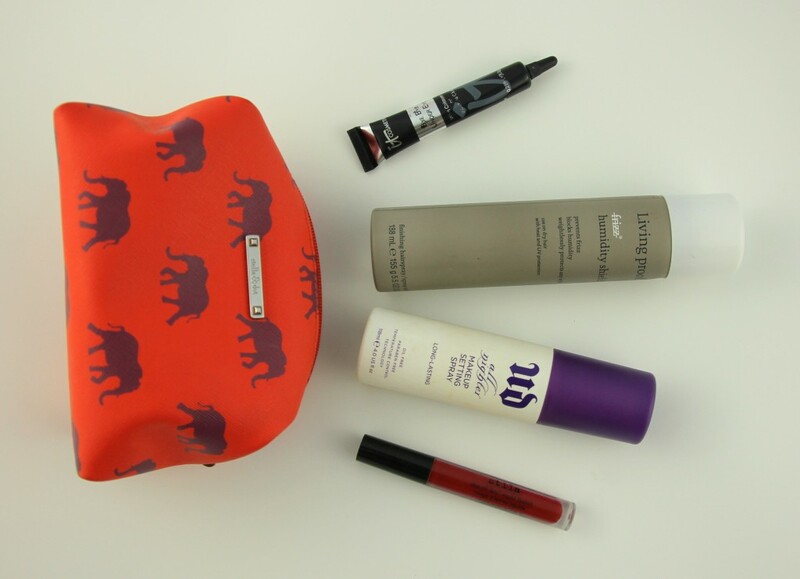 Okay, this last product is not about makeup, but rather hair care. I live in Houston which is known for ridiculously crazy amounts of humidity. I tried this product 100% expecting it to not work at all. 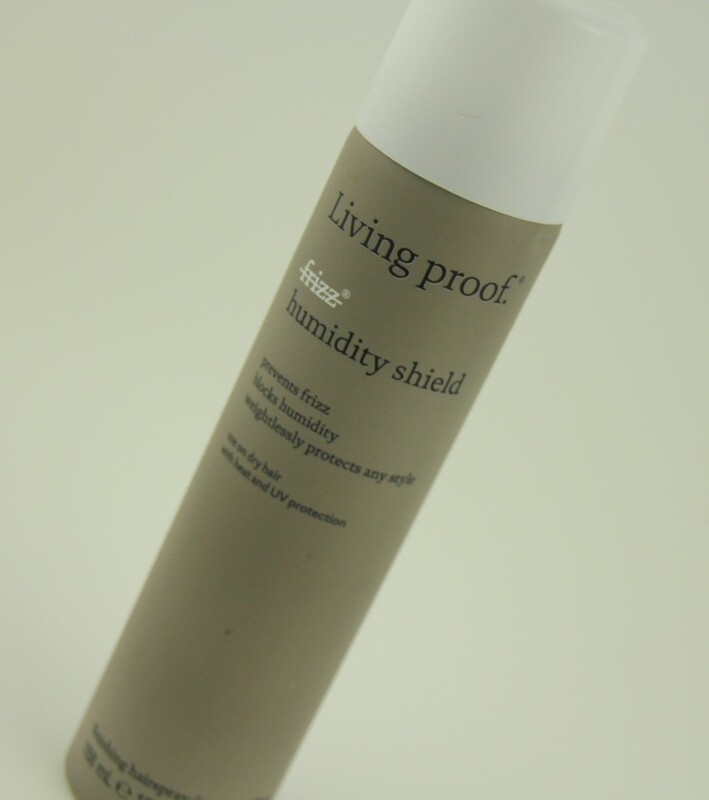 The truth after using it for a few days I had convinced myself the humidity must have left Houston, because it was working that well! I spray it on after I am completely done with my hair and after my hairspray. This little gem keeps my hair frizz free all day, so my hair still looks decent for after work happy hours. Whether you are gearing up for happy hours, fashion events, or holiday parties, I think all these products are the perfect all day wear makeup products to get you through the day and evening. 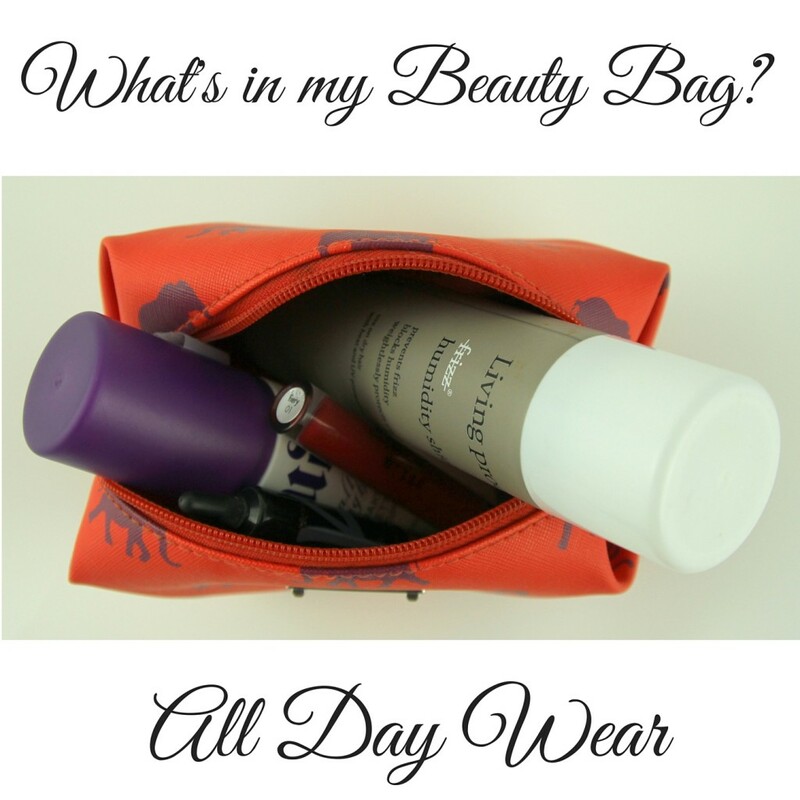 I’m always looking for more all day wear beauty products, what are some of your favorites? **Note** On occasion, companies send me various beauty products to try out. If I find one that I love, I may include it in a beauty post. All gifted items are disclosed with c/o. The opinions of the product are based 100% on my own experience with the product. If I would not recommend it to my best friend, I would not include it in a post.